Learning Goal: In today's lesson you will learn the difference between standard and non-standard English. You will why people use non-standard English, when it is acceptable, and how and when to avoid it. I would like to know why sometimes it is used, "she don't care" and not "she doesn't care", as in The Beatles song "Ticket to Ride". Many thanks. Standard English is what is seen as, well, I suppose you could say the 'educated norm'. It's the language of formal written English - you know, of newspapers, letters, reports and so on. It's also, to some extent, spoken, by what I guess could be described as an "educated elite." Anyway, non-standard English is pretty much everything else - the accents, the dialects, the vocabulary that vary according to where you live, or what social group you're in. She don't care and I don't want nobody but you are both what you could call "non-standard" forms. They're not the sort of things you'd read written in a newspaper or written in an essay. They're conversational forms used by some groups of people. 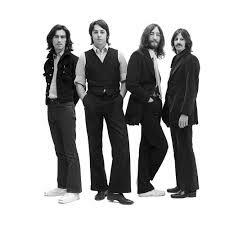 It was the pop group The Beatles who sang "Ticket to Ride" in the early 1960's. They were from Liverpool, in North West England. When they were writing that song, in the early 1960's, life in England probably wasn't much fun and life in the United States - the kind of things you saw in the movies, in the Hollywood movies - always seemed a bit more glamorous. 'She don't'... 'I ain't'... 'I wanna'. And the Beatles, along with quite a few other British musicians at that time and since then as well, must have thought that this was pretty cool - so in some of their early songs at least, they copied this style. So when you are completing writing assignments for school you need to remember that Slang and non-standard English is not considered acceptable. Can you find the examples of non-standard English in the following paragraph? The English teacher was considered to be a quack by her students. She was known to run around town with a Sharpie always on her. When she spotted slang and grammar errors she would whip out her marker and begin making corrections. Soon she earned the title "The Gramma' Vandal" and started gettin' a bad rap. The cops were on the case. It was no shock to her students that they couldn't catch her. She was sneaky. When she sensed the heat was on she would never chicken out; but rather cool her jets. She didn't want things to get too hairy. She was no ordinary Joe! She was an English teacher, who was saving the world one correction at a time. Soon she realized that she was treading on thin ice, so she decided to come clean. She didn't want to make any more waves in her community. She put her marker to rest and began offering free grammar consulting services to the businesses in her community.